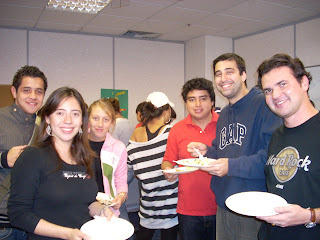 Coming to London is a perfect opportunity to study English Courses and to experience English everyday life. But you have to know that London is one of the most cosmopolitan cities in the world and is well-known for its ethnic and religious diversity. Like London, Twin English School in London is proud to welcome students from all over the world. We are experienced in making them living side by side so that a stay in the English School in London becomes a cultural exchange. If you choose to come to our English School in London, you will make a lot of new friends from every continent. It represents an incredible opportunity to discover new cultures and ways of thinking. Furthermore, as it is important for career and personal development to learn English, it is also very important to know how to behave in a multicultural environment. That is what you can learn in the English School in London. Even a commonplace situation can give rise to funny misunderstandings (for example, if you give a present to a Chinese friend, don’t be offended if he/she doesn’t open it in front of you). The process of exchange between different cultures can’t be complete without a food exchange. So, the English School in London often organises international food parties where, after English Courses, students cook something for the others. Come to the English School in London and enjoy a multicultural experience you’ll never forget!